Jodie Comer is a talented, young and accomplished actress who is creating a name for herself around the world. Over the years, she has starred in several notable shows such as Thirteen, Doctor Foster, Lady Chatterley’s Lover, Rillington Place, The White Princess and Killing Eve. Jodie started gaining attention for her role as Chloe Gemell on My Mad Fat Diary, but it was her role on Killing Eve that gave her the international recognition she deserved. Here’s more information on the Liverpudlian star. Jodie Marie Comer was born on the 11th of March, 1993 in Liverpool, Merseyside, England. Growing up, she attended St Julie’s Catholic High School in Woolton, Liverpool. She came to the attention of her drama teacher when she entered her school’s talent show competition, performing a monologue. This led to her audition for a BBC Radio 4 play which became her first acting role. Seeing her potential, she was encouraged to go full time into acting by first hiring an agent. Her career began in 2007 and she went on to land roles in Holby City, Waterloo Road, The Last Bite, Casualty, Coming Up, Good Cop, Silent Witness, Doctors, and Justice. Jodie Comer moved on to receiving high profile roles, solidifying her status as an actress to watch. She later appeared in Law & Order: UK, Vera, Inspector George and Remember Me. Her role in Doctor Foster also helped to introduced her to the show’s millions of viewers. In the drama series, she did a great job portraying as Kate Parks from 2015 to 2017. Next, on her career path, Jodie Comer landed a lead role in the BBC Three miniseries, Thirteen as Ivy Moxam. She then appeared in the real-life story about a serial killer in Rillington Place where she played Beryl Evan. In 2017, she landed one of her most high profile roles to date – the role of Queen Elizabeth of York, Henry VII’s wife in the BBC series – The White Princess. 2017 also saw Jodie appear in her first feature film, England is Mine. Before that, she appeared in a short film in 2013 titled In T’Vic playing the role of Holliday. The year 2018 turned out to be one of Jodie Comer’s best years in her career. 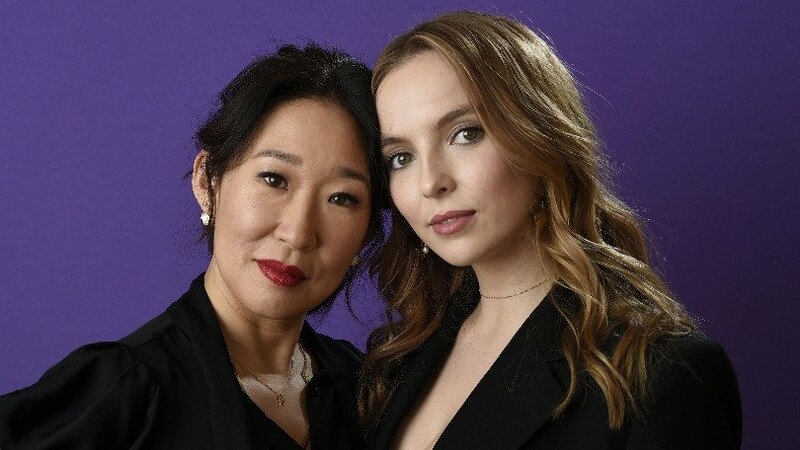 Not only did she land the leading role of a psychopathic Russian assassin called Villanelle in the TV show Killing Eve but she was also cast in the action comedy Free Guy opposite the American film star Ryan Reynolds. It was also announced that she would star in the Death Of The Nile film adaptation opposite Gal Gadot, Kenneth Branagh and Armie Hammer. Jodie Comer’s net worth is currently reported to be at a modest $1 million. Considering the fact that her career is currently climbing new heights, this amount is definitely expected to go up in the future. Jodie Comer intentionally keeps everything about her love life and all her relationships under wraps. For now, there is no information regarding her boyfriends or ex-boyfriends, but it is certain that the actress is not yet married. However, the actress did reveal that she has a crush on the American actor, Paul Rudd, admitting that she finds him hilarious and cute. In 2010, Jodie Comer appeared in the play – The Price of Everything, playing a character named Rub. The play took place at the Stephen Joseph Theatre in Scarborough. Jodie has admitted that she is a huge fan of the American musician Bruce Springsteen. She even has one of this lyrics from his son Dancing in the Dark in her Instagram bio. Jodie began her fight against cancer in September 2018. She appeared in a video showing her support for Stand Up to Cancer. The actress has been recognized for her acclaimed work nominations from several award bodies including the British Academy Television Awards, the Critics Choice Awards, Gold Derby Awards, Royal Television Society and many more. While appearing as Hannah Ward in the BBC miniseries Remember Me in 2014, Jodie Comer sang the theme song for the show, proving that she posses a diverse set of skills than she is typically given credit for.